This year’s Aussie Millions $100,000 challenge was entered by 22 players, hoping to score big bucks to start of 2012 with a bang. 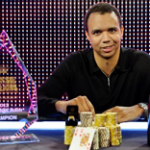 Entrants included Daniel Negreanu, Phil Ivey, Tom Dwan, Patrik Antonius, Tony G., former Aussie Millions Main Event Champion Gus Hansen, and Australia’s own Joe Hachem. Erik Seidel and Sam Trickett also participated, each hoping to repeat last year’s Aussie Millions successes, with Trickett the event’s defending champion, and Seidel having won the $250,000 Super High Roller to start off a year for the ages. 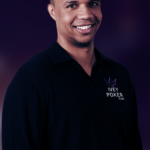 From a purely poker perspective, it was good to see that Ivey still has plenty of bankroll to splash around on high buy-in events, this despite a nasty divorce suit. The 22 players created a prize pool of AUD 2.2 million, with 4 players slated to cash and over AUD 1 million for the winner. After 10 hours of play on day 1, Hansen eliminated Ivey on the final table bubble and went into day 2 as the chip leader. Also making the final table was Trickett, who did his best to defend his title but eventually fell in 7th place. Hansen experienced a fall from grace as well, being eliminated in 5th, just short of the money. Tony G. was somewhat more fortunate, earning AUD 242,000 for his 4th place finish, while Hachem earned his largest ever payday on home soil, finishing 3rd for AUD 330,000. All these big names notwithstanding, the final two players battling it out for the title were the relatively unknown Mikhail Smirnov and Dan Smith. For 3.5 hours after Hachem’s elimination, Smirnov and Smith challenged each other, with the lead changing multiple times until Smith’s pocket 2s held up all in versus Smirnov’s Q6 suited for the win. Smirnov will take home 616,000 for his runner-up performance while Smith’s name will go into the history books and will no longer be “unknown”. The 2013 Aussie Millions Poker Championships have just concluded. Here's Cardplayer Lifestyle's recap of the biggest winners over the prestigious 26-event poker tournament series.